If the bounce we experienced yesterday in Bitcoin is an indication of bigger moves coming over the next couple months, then its time to tackle some trade ideas and get in while the getting’s good. Eos is also in a key zone and beyond the Base Line and Conversion Line. However, it’s facing a double top and that kind of pattern break would negate a lot of the need to retrace to either of the averages. I’ve got buy orders above at 6.52. This is one of my favorite pairs to trade. 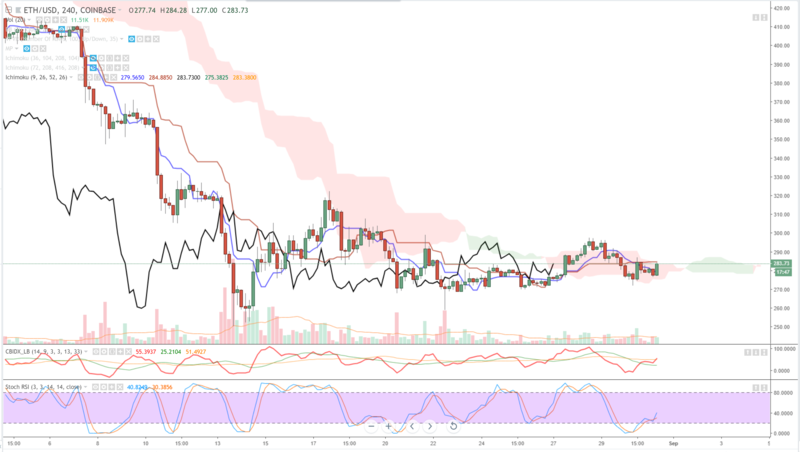 It’s in a funky area for the Ichimoku system because price is above the cloud and so is the lagging span (black average) but the lagging span is also very close to the candlesticks in front of it. I would only entertain a long trade when STEEM closes above the base line on the 4 hour chart. Buy Entry: 0.9706, only if it closes above the base line. 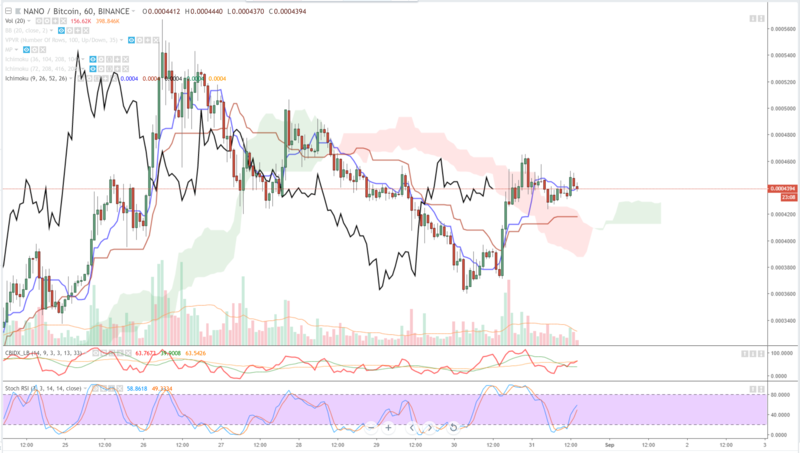 NANO has an interesting long position if we can get the lagging span above the cloud. NANO, I think, still has a lot more room to run and has just taken a breather after a very impressive drive. But I want to get in on the next pump. 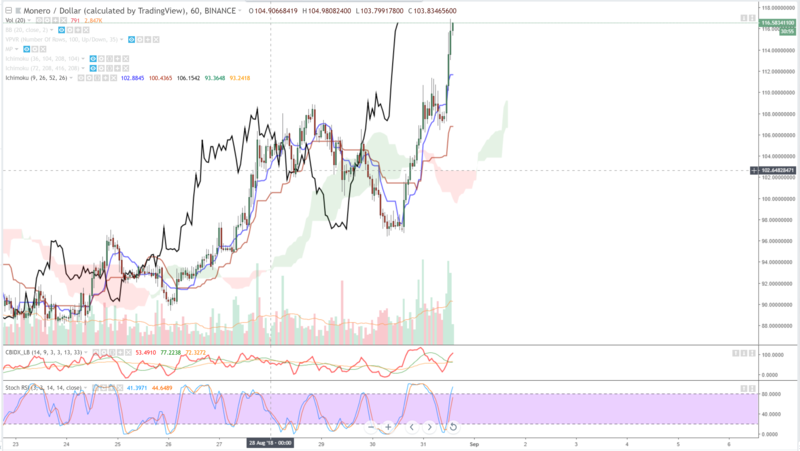 Buy Entry: 0.00047, lagging span above the cloud. Ethereum has been just a dull, boring, risky and obnoxious trade – even for shorting. But it’s not going to just sit still while the broader market rallies. And ETH is one of heck of a crypto that likes to rally. The trade I want to take here is one I have mixed feelings about. 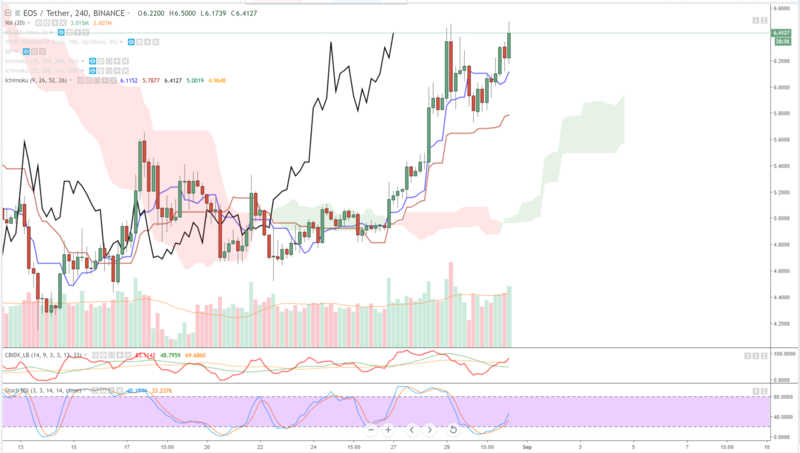 I Want price and the lagging span to cross above the cloud, but I also want price to break the most recent highs (sitting right on the 300 value area). 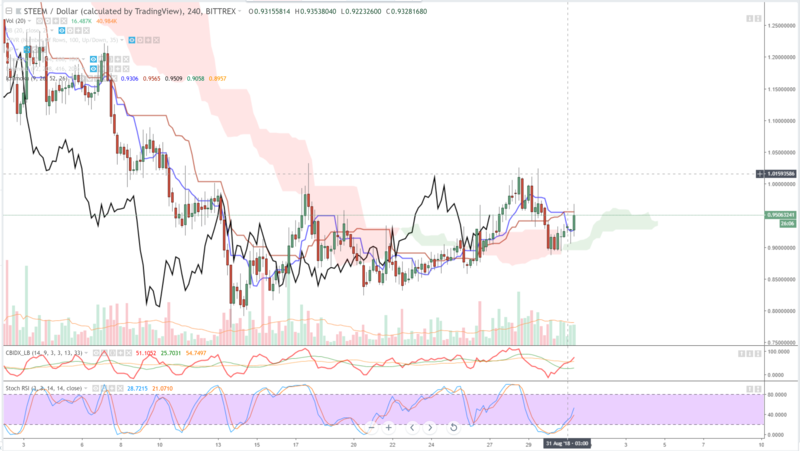 I’m going to risk the entry before 300 though and take the cloud breakout trade. Buy Entry: 291.45, cloud break.